You’ll note, btw, that the condition refers to “network traffic” and makes no distinction between whether the “network traffic” is running over the “public Internet” or Comcast’s “private IP network.” It also does not require malicious intent on the part of Comcast. There’s a reason for that. As the DoJ explained in its competitive impact statement and in the Complaint, the combined Comcast/NBCU would have enormous incentive to protect its highly lucrative cable subscription and video-on-demand service from competition from online video distributors (OVDs). Because Comcast is both an MVPD and a broadband access provider, Comcast might set rules on the broadband access side that give an advantage to its traditional cable and VoD services – such as counting competing services against the bandwidth cap but not its own services. Whether Comcast’s decision to architect its system this way actually violates the Comcast/NBCU consent decree, the FCC Merger Order, or the Open Internet rules, I leave as an open question for the moment. If we brush aside Powell’s posturing, we get to a substantive legal argument at the very bottom of his blog post. Powell argues that Comcast’s video streaming on Xbox is essentially the same as using a third-party Cablecard enabled device except instead of using Cablecard, it uses IP. Accordingly, whatever competitive advantage the Xfinity app has because other services trigger the cap is nothing new, and is already permitted under the rules that allow a bandwidth cap in the first place. That’s a perfectly valid argument to make, although I don’t know if it carries the day. It’s About Protecting Competition, Not ‘Punishing’ Comcast. My point in citing the Comcast/NBCU Merger is not to make a definitive argument that this violates the merger condition. That remains an open question and I expect Comcast will vigorously defend itself if anyone files a complaint or if DoJ investigates. My point is merely to observe that Michael Powell’s posturing that only advocacy run amok and baseless suspicion could prompt anyone to see a problem here, and rebut his accusation that by our raising an alarm we at PK want a “second bite at the regulatory apple.” As DoJ pointed out, Comcast would have plenty of incentive to favor its own services, and the capacity to do so by applying bandwidth caps to competing services but not its own. Vigilance is therefore not only rational, but prudent. Incentive, of course, does not prove intent. A company may have many reasons to architect its system in a particular way. I am happy to assume, for sake of argument, that Comcast opted to architect its system this way because it is being a total control freak about its content -- either for the usual reason that big content producers like NBCU regard the Internet protocol as the work of Satan and the Mark of Piracy or because Comcast wanted to make absolutely certain that it’s VoD service remains cozy and snug in Title VI ‘cable services’ or for some other reason unrelated to competition from other streaming VoD services on Xbox360 -- rather than in a clever attempt to evade the open Internet rules. But that doesn’t change the reality that the way in which Comcast has opted to architect its system to deliver its VoD to the Xbox360 has real competitive impact of the kind the open Internet rules and the Comcast consent decree net neutrality condition were designed to address. I’ll also note that it is not Comcast alone that has come under the microscope on the question of whether the use of bandwidth caps unfairly favors traditional cable services. 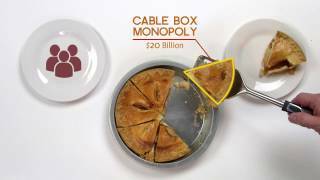 As some folks may recall, Time Warner Cable ran into a spot of trouble when it tried to put outrageously aggressive bandwidth caps on its broadband service back in’09 (not to be confused with their more consumer friendly offering of a discount for accepting a more capacity-capped service). In fact, the possibility that a combined MVPD/broadband access provider might use bandwidth caps to favor its own video content is such an obvious concern that I noted it back when Comcast announced their cap back in ‘08. As Stacey Higginbotham and PK’s Michael Weinberg point out in this article, Comcast made a deliberate decision to set things up so that the content streams over Comcast’s own last mile. This decision has impact on the ability of Comcast customers to use competing streaming services, whatever Comcast’s intent. To use the Xbox360 Xfinity ap, you must have both a Comcast digital cable subscription and a Comcast broadband subscription. If you have DISH for your video and Comcast for your broadband access, streaming over Xbox360 will count against your bandwidth cap. But if you drop DISH for Comcast video, you can stream Xfinity (or use Comcast’s regular VoD through the set-top box they lease you) and not have it count. If you have Comcast for video and DSL for broadband, you can’t use the Xfinity ap. And even if you have both Comcast digital cable and Comcast broadband, any time you use a competing service like Netflix or Amazon Prime, it counts against your cap while Xfinity doesn’t. It is also noteworthy that the decision to provide Xbox360 streaming in this way stands out from the way every single other company with an app on Xbox360 offers the same service. All of the other streaming aps, including the ones provided by other MVPD providers, go the simple route of using the “public Internet.” Comcast came late to the party, and (as Stacey notes in her article) demanded an unprecedented degree of control before it would create an app for Xbox360. Microsoft acceded to this request because Comcast is the biggest broadband access provider and the biggest MVPD. Given these factors, we don’t think it is out of line to flag that as contrary to the competition the net neutrality rules or the Comcast/NBCU merger protect. Contrary to Powell’s suggestion in his blog post, companies like Comcast don’t decide to offer new services like the Xfinity app for Xbox360 because they love humanity. To paraphrase Adam Smith: It is not from the benevolence of the cable company that we expect our video, but from its regard for its own self-interest. That means needing rules to maintain a level playing field to protect the competition that keeps that self-interest properly focused, and a referee like the DoJ or the FCC to make a call when someone steps out of bounds. We at PK think Comcast may have stepped out of bounds here, and called a flag on the play. Comcast argues they stayed in the lines and should not go back to the line of scrimmage. I appreciate that Powell, as “coach” of the cable trade association, wants to work the ref with blog posts like this. 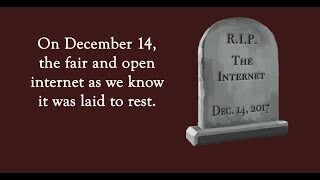 Hopefully, we can still count on DoJ and FCC to make a fair call.